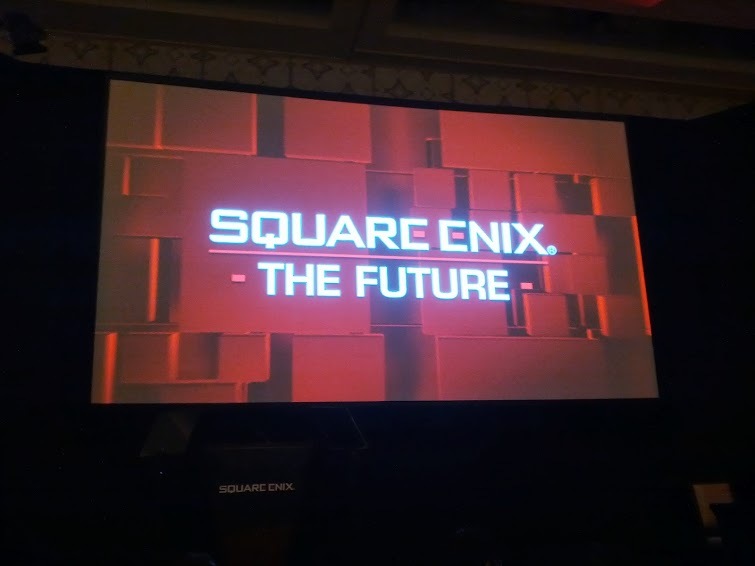 This morning Square Enix held a press conference simply titled: “Square Enix: The Future”. There were five titles discussed: Final Fantasy XIV: A Realm Reborn, Final Fantasy XV (formerly FInal Fantasy versus XIII), Final Fantasy XIII: Lightning Returns, Final Fantasy X|X2 HD Remaster and Kingdom Hearts III. This was a small conference, not like the mega conferences held yesterday, with about 75 selected media in attendence. The presentation was straightforward. The president of SE, Yosuke Matsuda, took the stage and thanked everyone for coming. There are a lot of developers here at E3, and all of the media is pulled in multiple directions at once. He referenced last night’s announcements atr the Sony conference about FFXV and FFXIV, and also announced that there will be two other Final Fantasy titles being released this fiscal year (X|X2 HD and Lightning Returns). Matsuda acknowledged that Final Fantasy titles are always the focus of attentions, and that SE wants to reassert how important of a franchise it is to the Company. Finally, before Matsuda handed the floor over to the various game producers, he appologized for worries caused by the recent earnings call, and stated that here at E3 is the start of SE moving forward in a stronger way. First up after Matsuda was Naoki Yoshida for A Realm Reborn. After thanking everyone and confirming the August 27 release date, they showed off the new “Crystal’s Call” trailer. 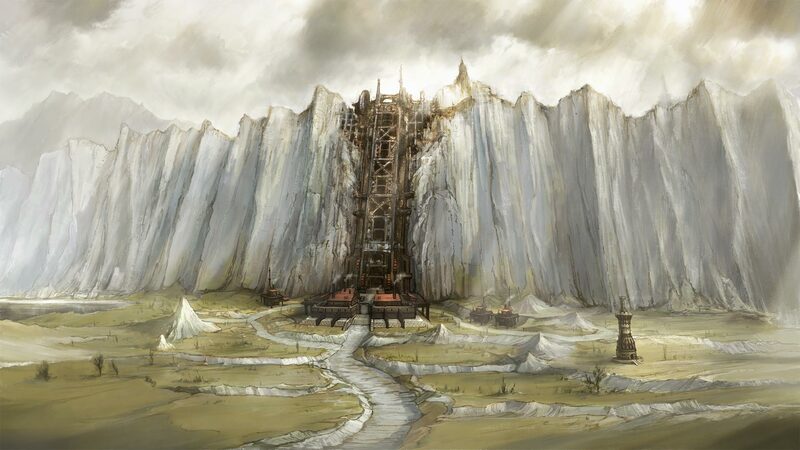 Yoshida indicated he believed A Realm Reborn to be the highest quality MMO on the market, and was excited to have people test the PS3 version at E3. The newly confirmed PS4 version will be released in 2014, and Yoshida confirmed that PS3 users need not worry about their data – that they are working with Sony to ensure that everything carries over seamlessly. There is no reason not to begin playing now on the PS3. Next up was Shinji Hashimoto, the director for FFXV. 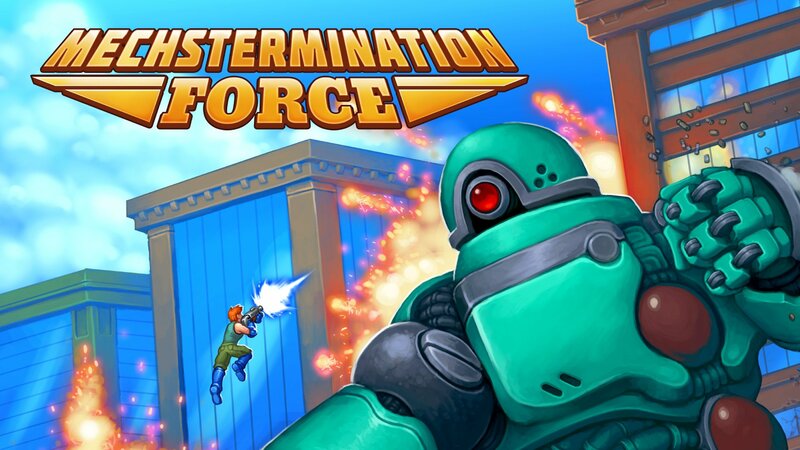 The trailer shown at the Sony presentation was shown, and he expressed his excitement about finally being able to announce the game and new name. 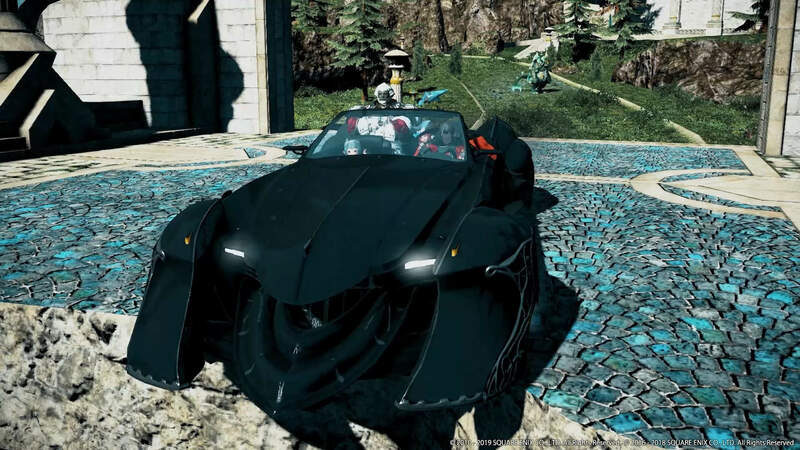 He also confirmed that FFXV will not be a PS4 exclusive, as they are also working on a port to the XBox One, which is possible because the game was built with DX11. SE showed off a new trailer showing in-game development footage of this port. It was clearly a development build, but it looked very nice. Yoshinori Kitasi, producer for the X|X2 HD remaster and Lightning Returns was up next. He confirmed X|X2 was being released for PS3 and Vita, and viewed this as breathing new life into classic Final Fantasy titles. Lightning Returns, however, is of course completely new and extremely challenging. He described it as a scrolling open world with flexible game play. After trailers for these titles came KH3. Shinji Hashimoto introduced the KH3 trailer shown at the Sony conference was shown, and Matsuda came back up to express how excited he was for this title, and to introduce John Pleasants, from Disney. Pleasants indicated that the KH franchsie was very important to DIsney and that this is the next core sequel in the series. That Sora will be exploring “yet unseen” Disney worlds, and that they want to ensure they are incorporating technologies from the next gen consoles. Hashimoto then dropped the news that KH3 will be on XBox One as well as PS4, ending the Sony exclusivity of the series. All in all a nice showing from Square Enix. They revealed the new FFXIV trailer and made the Xbox One announcements, but it really wasn’t about announcements as much as it was a pep rally for SE and these new titles. They all look great and will hopefully offer SE a nice “comeback” of sorts from the recent negative news. Oooooh, I’ve been waiting ages for Kong Donkey 3! SE needs to make up their mind as to if they’re marketing XIV as just ‘Final Fantasy XIV’, ‘A Realm Reborn’, or ‘Final Fantasy XIV: A Realm Reborn’. The latest trailer pretty much ignores the ‘A Realm Reborn’ part, and I think it’s detrimental to getting awareness out there – that this is an entirely new game. Not to mention it’s official logo places more emphasis on ‘A Realm Reborn’. It’s also probably confusing to the casual gamer to even know the difference between Final Fantasy XIV and Final Fantasy XV. Not too many people are even familiar with roman numerals anymore. Another thing I’ve heard casual gamers complain about is that the online games are numbered and yet they don’t feel as if they’re apart of the main series (To which I’d say they’re dead wrong) but I understand their concern and always felt that 11 and 14 should have had different names.